WESTPORT — Rarely does a big decision in Westport go down without a fight, and the same is true of the proposal to add two more school police officers for the coming year. 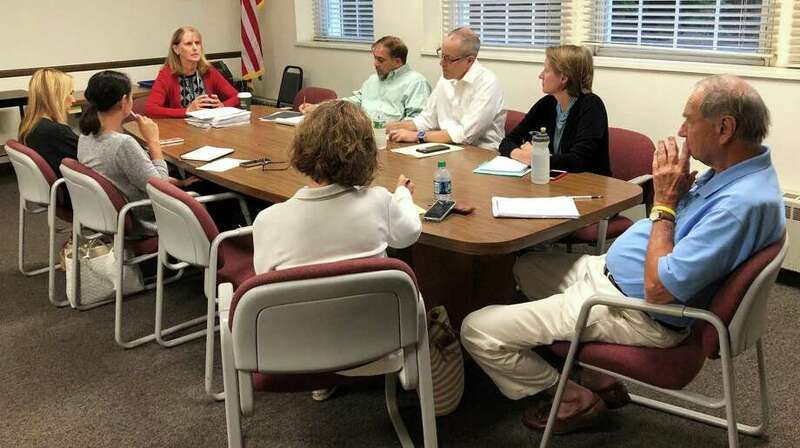 The debate appeared to come to a close when, on July 11, the town’s Board of Finance voted 4-2 against funding two school resource officers for the middle schools, in addition to the one already approved for Staples High School. However, School Superintendent Dr. Colleen Palmer and two members of the Representative Town Meeting have now challenged that decision. On the RTM front, Nicole Klein of District 5 discovered after the July 11 meeting that, per the town’s charter, the group has a 30-day window to overturn the finance board’s decision if two RTM members request the appropriation be on the next meeting’s agenda and if a majority of the full RTM vote yes on the appropriation. “I wanted to keep the discussion going around the SROs and didn’t feel there had been enough discussion about it among the RTM. There actually had been no discussion about it among the RTM, and I felt it was really due a robust conversation,” Klein said. Klein enlisted fellow RTM member Andrew Colabella to bring forth the vote to overturn the BOF decision, which appears on the Aug. 7 meeting agenda. Meanwhile, Palmer and the Board of Education found their own way to reopen the SRO debate by returning to the town $275,541 in unspent money, which is more than the $260,000 needed to hire the two additional officers. Returning the funds is meant to help replenish the money Westport would spend on the SROs if hired, Palmer said. “School resource officers are not new. It’s a new idea for Westport and what I’ve found is that communities who don’t understand SROs are more reluctant to adopt them becaue they’re concerned we’re going to have a police officer in our building who will arrest and go after our kids. That is entirely incorrect,” Palmer said. Palmer’s original request to hire the two officers was priced at $320,000 for one year, but town Finance Director Gary Conrad said he later realized the officers would only work nine months of the year due to summer vacation. Conrad then recalculated and came up with the $260,000 figure. This new appropriation request will come before the Board of Finance at its Aug. 1 meeting. Since the officers would be police department employees and on the town’s payroll, not that of the school’s, the new funding request will come from Chief of Police Foti Koskinas, a vocal advocate of SROs, in conjunction with First Selectman Jim Marpe, who in the past has said the finance board should heed to the expertise of Palmer and Koskinas and hire the officers.